One of the first things we had to learn as missionaries is to be flexible! And this past month has tested us in this area as a family and ministry. We’ve changed flights and plans to allow us to be stateside a little longer to aide in recovery and deal with insurance following our recent road collision. 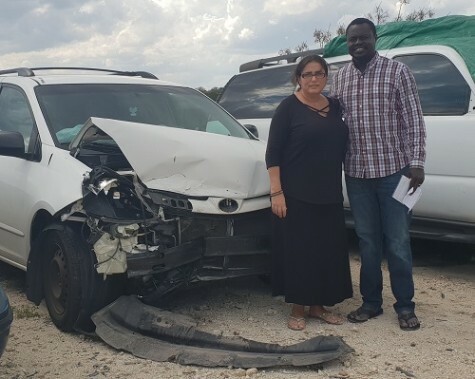 What started out as a spirit-filled, ministry road trip to visit supporting churches and partners in Texas, Louisiana and Mississippi, unexpectedly took a different path when another driver turned in an intersection without yielding, smashing straight into us! 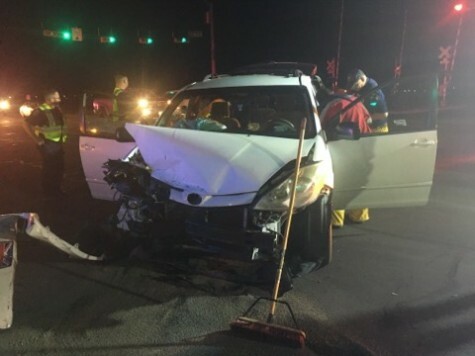 Even though it was so scary, especially for the children, we are thankful that we were not seriously injured, and neither were the passengers in the other car. It’s a miracle we all just walked away. We were taken to the hospital for precaution and Suzy, who absorbed most of the impact, was given a CAT scan, which showed no internal injury. In the hospital we both felt this was a spiritual battle and we should continue as planned, visiting partners and churches. Battered and bruised we rented a car and continued on the journey. The next day we received word our beloved pet dog of 9 years, Uchi, was sick in Tonj. Very quickly her condition deteriorated, and she died. We had already reached a point of desperation after the crash, the kind of desperation that says, STOP… PRAY!! And as we reached out through Instagram and Facebook, that’s exactly what many of you did. Stopped and prayed with us. The team effort to cover our family in corporate prayer throughout that week was so powerful and we are so thankful. “I sought the Lord in my day of trouble. 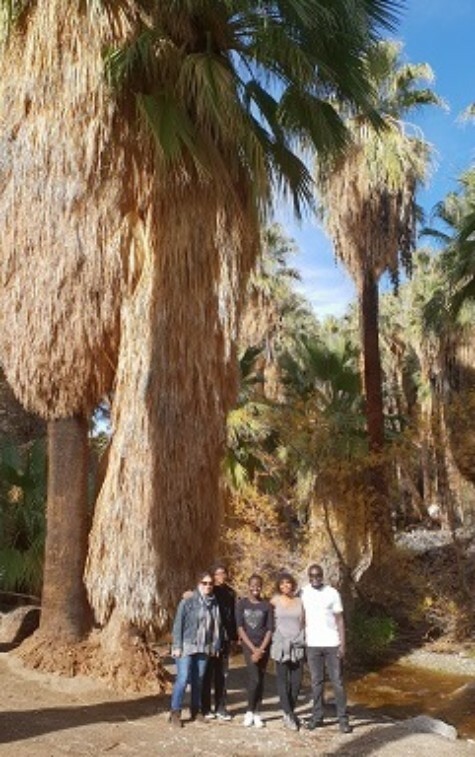 Sabet, Agum and Jed are now planning to travel back to Africa at the end of April. Suzy and Hannah will travel with a volunteer a few weeks after that. Please pray as Suzy gets continued treatment and heals from her injuries and as we work through the insurance issues. For the past 10 years we have been ministering in a village called Maloney, through medical clinic outreaches, which led to a church plant. We have chosen Maloney to be our 4th CHE (Community Health Evangelism) village. A couple of weeks ago Pastor Santino and Dr. Jono went to Maloney to encourage the church and visit with Pastor Kharlo. 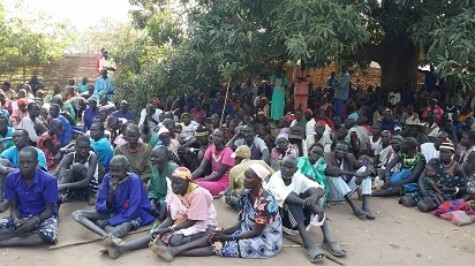 When they got there, they found another church visiting from a village called Ariam Duar, around 10km from Maloney. A month back Pastor Santino went and showed the Jesus film in Ariam Duar, and the village were very excited to learn about Jesus. At the end Santino preached, and 50 people accepted Christ. Since then they have been meeting each Sunday for church under a tree and have two young men that they have selected as church leaders for pastoral training. The people there are in extreme poverty, and there is zero development – the closest borehole is 10 km away in Maloney, so the people are drinking dirty water from a shallow well. When Santino and Jono visited there were around 80 people all worshipping God as they arrived, and it was such a beautiful sight! Next time Pastor Santino visits he will take them some solar audio bibles, so they can start bible study listening groups to learn more about Jesus. 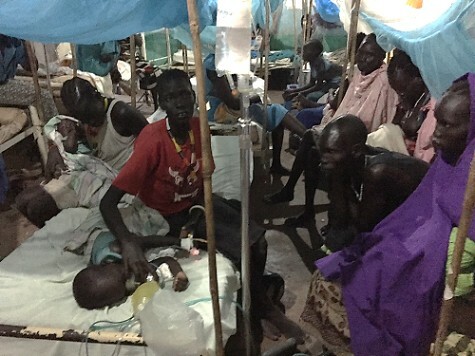 *Pray for our quick healing so we can get back to South Sudan. *Pray for Molly Dittman. She will travel with Suzy and serve for 6 months as a homeschool teacher to the Macleod children. *Pray for our pastors, we still have a few needing sponsorships. *Pray for the new church plant in Ariam Duar. 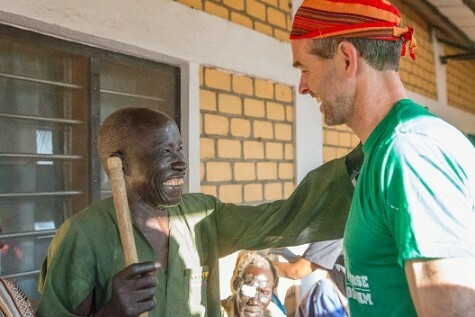 One of the highlights of what we do is witnessing Jesus’ healing power in the clinic. Seeing babies come in convulsing and then going home healed is amazing. Last year we saw 52,561 patients and 26,488 were children under the age of five. Many of these children needed oxygen and were admitted to our ward. This is Majak Deng. 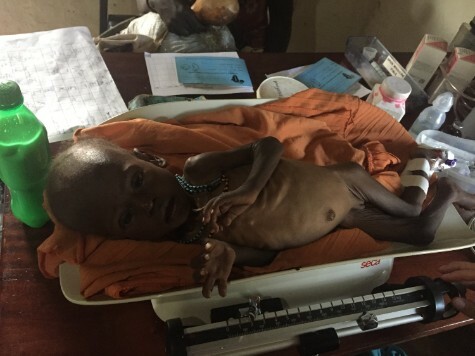 He is currently in our clinic on oxygen and was admitted 2 weeks ago. 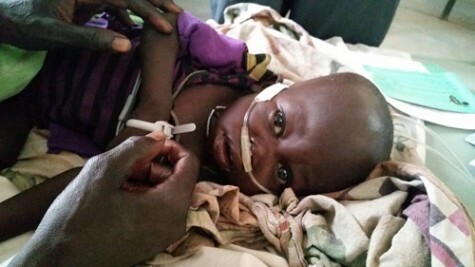 Since adding our new clinic and ward last year to our existing solar power grid, we have not been able to sustain the needs of children like Majak who need oxygen 24 hours a day. Especially during the months of July and August when we minister to double the patients we normally see. Last year we had to adapt the tubing so we could have four children on one oxygen concentrator at the same time and we constantly had to boost power using the generator. At $5 a gallon for diesel, this is not a sustainable solution. Can you imagine having to make the difficult choice between babies and who gets oxygen and who doesn’t? All because we don’t generate enough power. This happened so many times last year and it was heartbreaking to tell mothers another child needs oxygen more than your child. 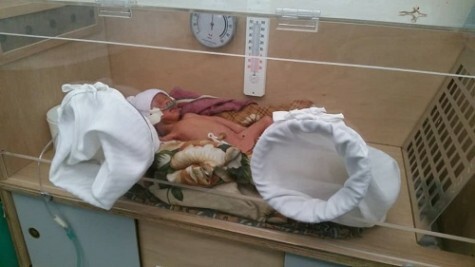 Thanks to a generous partner we were able to purchase a modified incubator that can operate on very little power. This is very exciting for our preemie babies. It arrived just in time with Mission Aviation Fellowship! A few days later we admitted a tiny baby called Sabet born at 29 weeks and weighing only 1300g. Our volunteer nurse Katherine spent the night assembling the incubator and it has been a great help keeping the baby warm. We know this incubator will be a massive blessing to so many babies and their families. Once our power is sustained, we can add a second incubator. We have a vision to see our clinic fully powered this year. Please pray with us for this need. God’s resources are abundant and we are attempting to build something that honors Him. 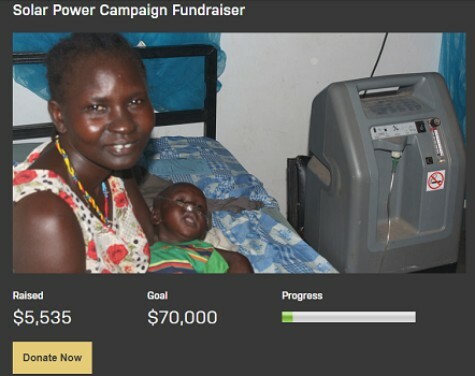 To help us fully fund our Solar Power go to our website. We are inviting you to walk this road with us. 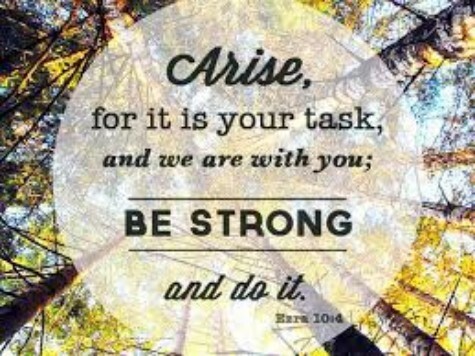 One of the hardest parts about being a missionary is raising support but it’s out of obedience that we do it. These past few months we have been in USA support raising and working hard, trusting God as we make the ministry needs known. Thank you to so many that have embraced us and partnered with us. 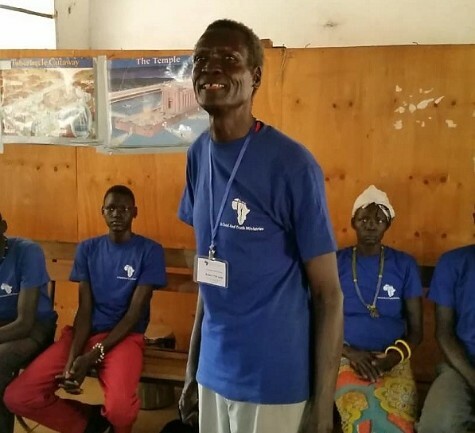 If you are new to our ministry or have been following us for a while, we want you to be PART of our team and what God is doing in South Sudan. We want to invite you to participate in a Kingdom building ministry that is wrapped in the vision of honoring God and fulfilling the Great Commission. This is an investment in the Kingdom that brings a great return. When you partner with us in prayer and giving you are as valuable as any missionary that gets to go and do the physical work. We are now back in Florida for the remainder of March and would love to connect with you if you are in the Panhandle area. Your prayers make a difference. Thank you for standing with us in this calling. First we want to thank you for praying for Suzy’s family that was effected by Hurricane Michael in Florida. We left Africa and went straight to Florida to help with hurricane clean-up before traveling to California in January to attend the Calvary Chapel Missions Conference. What a joy for our family to be stateside!! Despite the devastation from the hurricane, we are having a blast, reconnecting with family, friends and churches. Thank you for making us feel so loved and welcomed. 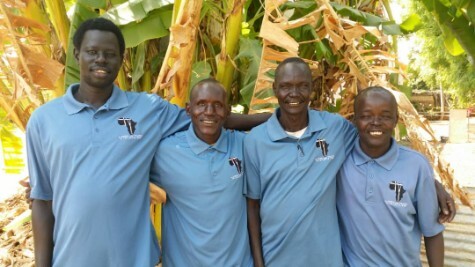 Thank you for letting us share our experiences and testimonies from our past two years in South Sudan. We’re in CA until Mar. 5th and Florida until April 2nd, so there’s still time to connect if you want to get together and hear all the amazing stories of God’s faithfulness. Email us! Our team shared this amazing story from the field that we wanted to share with you all. 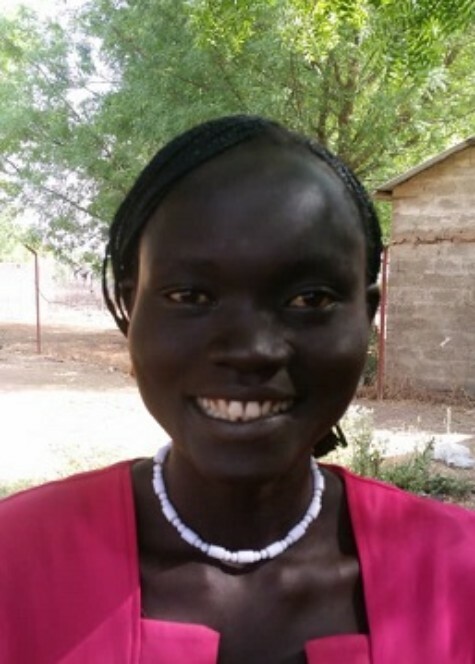 This is Kanna who is from our church, CC Tonj. This year someone cursed her with witchcraft declaring she would die. Recently, an evil spirit came on her trying to kill her. When she came to our clinic it was obvious it was a spiritual attack, so we laid hands on her and prayed for her, claiming the blood of Jesus over her, and that the evil spirit would flee! Hallelujah! Today, she’s completely free and praising God for his deliverance. We want to raise $200 a month per pastor. Each pastor has 8 sponsorship spots at $25 a spot. That means you can share the pastor sponsorship with others or sponsor one entire pastor by taking 8 spots or sponsor several different pastors one spot each!! This is designed to make the sponsorship affordable for every budget. 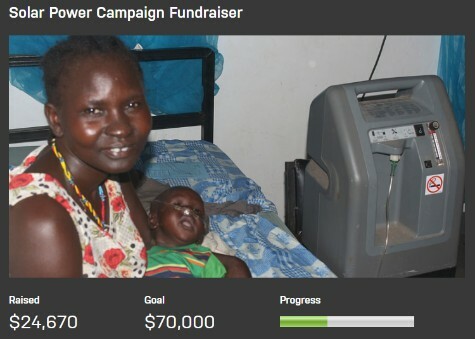 Here’s an update on the solar power fundraiser. We have a $60,000 match, which means every dollar you give will be worth $2!! You can go to our website to follow the progress and/or give through a designation online or memo your check “Solar fundraiser”. 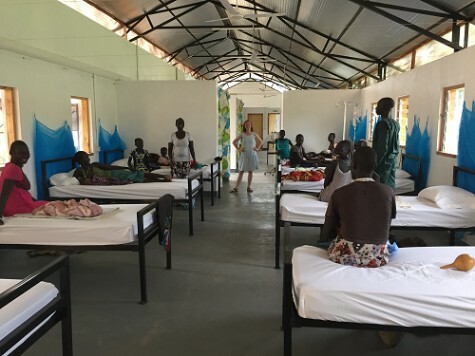 The new medical ward was completed in record time and opened by the Ministry of Health. Before we were cramming beds together in a small room and laying mattresses on the verandas. The new ward is spacious, organized and clean. We can now focus on the calling and minister to the patients more effectively. Thanks to the amazing generosity of our partners we completed the fundraising for the new church and will start to build it this year! In 2018 we baptized over 100 new believers. Our team is also growing. We have expanded our pastoral team and now have 14 pastors serving under In Deed and Truth. They pastor our church plants, serve as assistant pastors to Sabet, work as chaplains in the clinic and medical outreaches, serve in CHE, teach Simply the Story and show the Jesus film in the villages. We are looking to provide sponsorships for them costing just $50 a month. Go to our website to sign up and see their profiles. Your contributions also allowed us to treat 52,561 children and pregnant mother’s. Deliver 249 babies in a safe environment. Help with special needs through our benevolence fund. Purchase 20 tons of medical supplies. Send more students to medical school. Distribute solar powered audio bibles. Reach thousands of remote homes with the gospel through CHE and medical outreaches. Train more Community Health Workers. Engage thousands of youth with our soccer tournament. 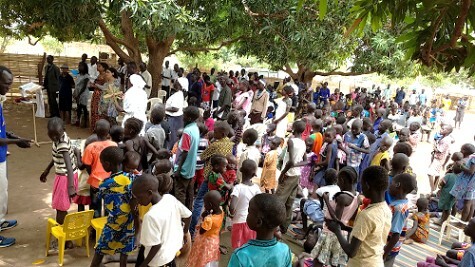 Continue with primary care of 15 sponsor children. Restore sight to 300 cataract patients. 2018 was so amazing and we look forward to all He has for us in 2019. Thank you for praying and choosing to be our partner. Our radio announcement went far and wide for this cataract clinic and we screened over 600 patients, some coming more than 200 miles on foot. Mostly elderly, they were desperate to have their sight restored. A massive thank you to Dr. Ben Roberts and his team from Tenwek Mission Hospital, in Kenya, World Gospel Mission and Samaritan’s Purse who came in for a week and did 321 surgeries in 5 days!! While the team operated from dawn to dusk, another eye clinic did consultation and treated cases that didn’t need cataracts surgeries. A team of evangelists and pastors shared the gospel message and oral bible stories. Many were open to the gospel and Sabet and the pastors lead them through a prayer to accept the Lord Jesus, and many responded. It was a great celebration every morning when they got their bandages removed and could see again. One lady saw her baby for the first time and a family with three blind children since birth, also received surgery. Our amazing CHE’s from three villages closed the year celebrating together and sharing testimonies. 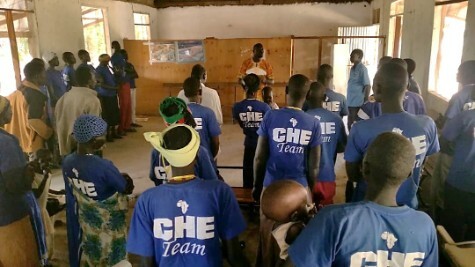 Abraham Nhail shared how the CHE team bless the children and youth in Warrak. We heard many testimonies but three stood out. 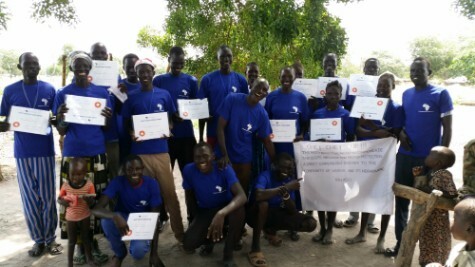 Abraham Nhail shared how the CHE team in Warrak opened a community school & a youth sports program to bless the children and youth in their village. Pastor Rueben shared about improving the physical, emotional, social & spiritual health in Warrak community. Pastor Rueben shared about the impact the CHE program is having in improving the physical, emotional, social & spiritual health in Warrak community. Angelina shared her experience (left) and her husband, Santino Mayem, on the right. Angelina shared the love they felt as IDAT came to visit last year after her husband Santino Mayem was shot. And how the bible teaching through CHE has brought incredible unity to their whole village of Bobi. Your Year End Gift Matters! This year we were able to host the entire cataract team at the IDAT Clinic. Thank you for the ways you have partnered with IDAT to meet the need in our community for a medical clinic. As a mission organization we want to be the best stewards we can to make a lasting impact for Jesus Christ. A generous donor has made it possible to match up to $60,000 ($70,000 is actually needed) for our new solar system for the medical clinic. We are asking you to consider helping us “meet the match” by making a special year end gift designated “Solar Power Campaign”. You can give through our website or send in a check. Call Rosa for more information or if you need any further assistance. The progress of this fundraiser can be tracked through our website.